Modern tied sheaf in white shades. 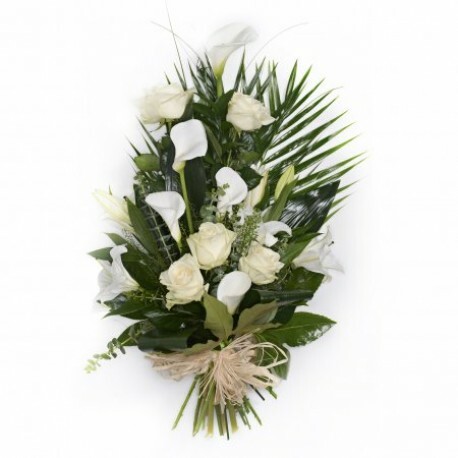 Funeral tributes are a personal way to express your love and remembrance of a loved one. Each stem is hand selected by our qualified florists. Made using the best of the seasons flowers. A hand written card with your personal message will be added to your chosen tribute. Delivering throughout Gateshead and the surrounding areas we can get your choice of tribute Delivered at the time required.